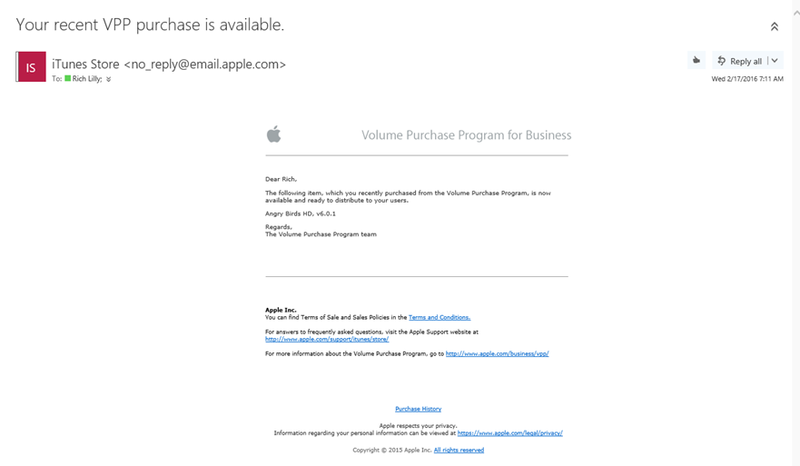 Last night, the Intune update enabling support for Apple’s Apple Volume Purchase Program for Business (VPP) went live (on my tenant :)). 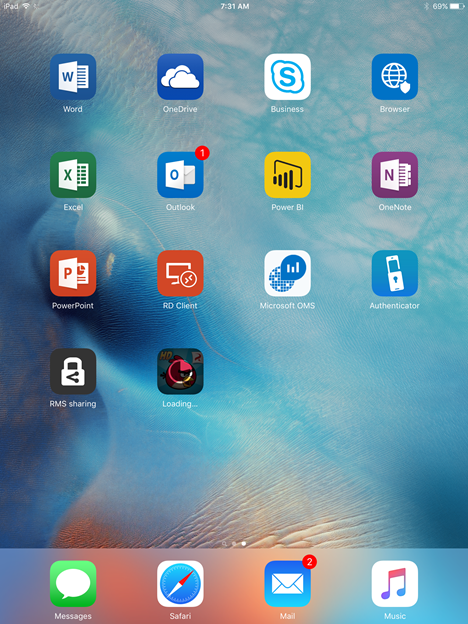 The VPP program itself is meant to reduce the overhead of having to track multiple purchased copies of apps in the Enterprise. 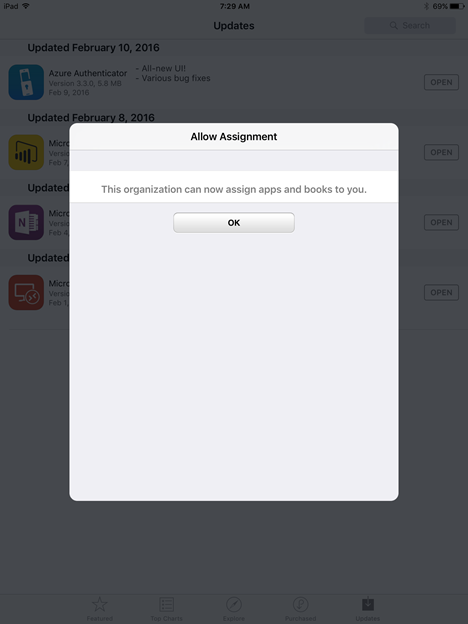 Intune works with VPP by importing information from the app store, tracking how many of the licenses you have used, and preventing you from installing more copies of the app than you own. 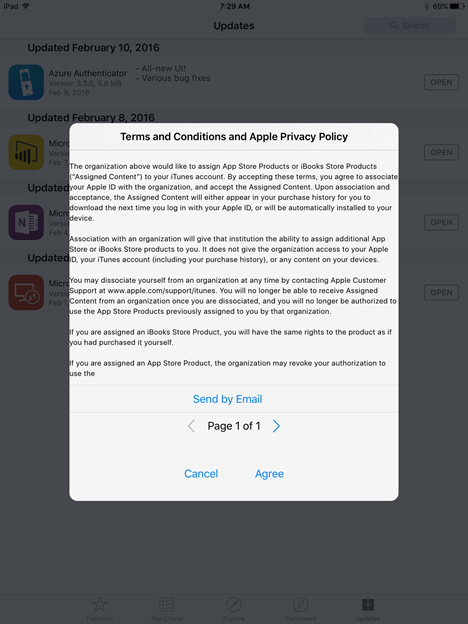 Before continuing with this article, we assuming you have already setup an Apple VPP account and have confirmed your organization information and DUNS number. Each organization can have only one VPP account and token. 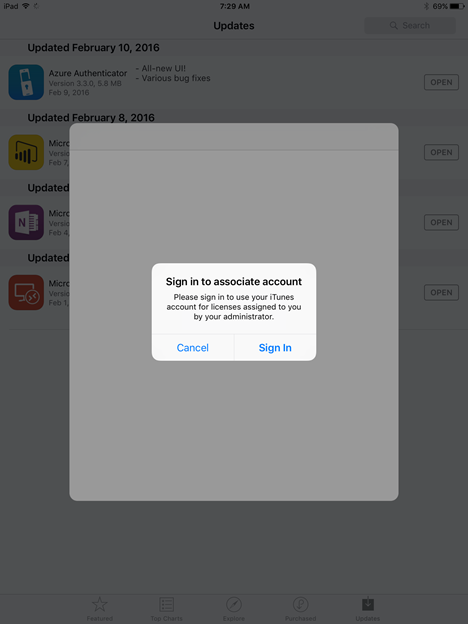 Once you associate an Apple VPP account to Intune, you cannot subsequently associate a different account. For this reason, it’s very important that more than one person has the details of the account you use. 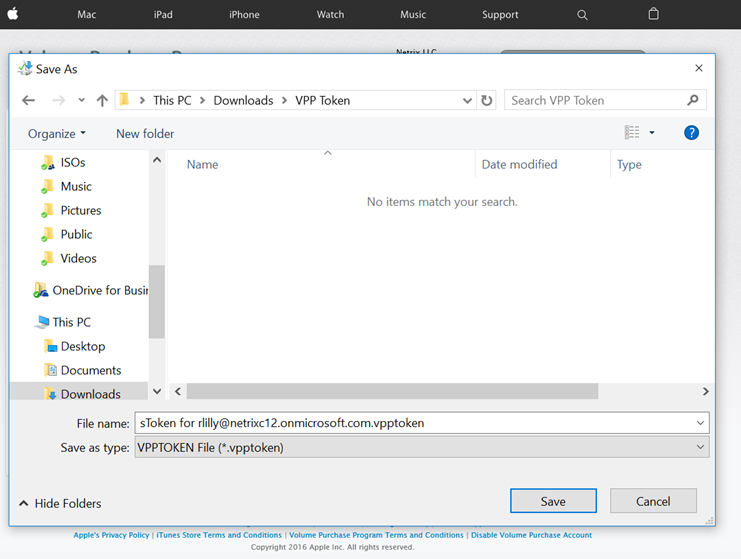 If you have previously used a VPP token with a different product, you must generate a new one to use with Intune. Each token is valid for one year. 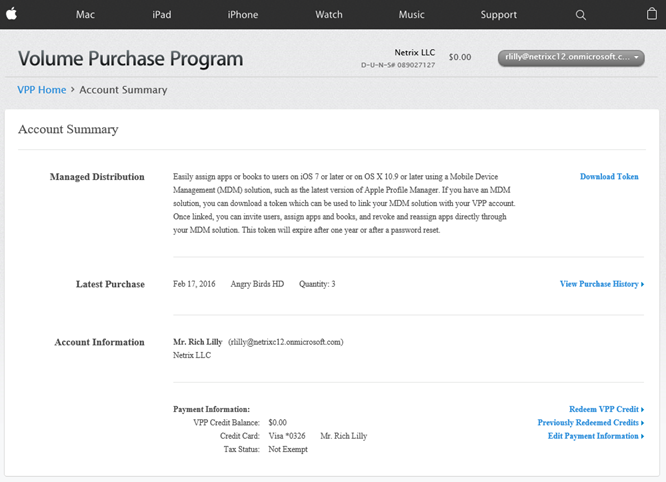 By default, Intune syncs with the Apple VPP service twice a day. You can, however, initiate a manual sync at any time. 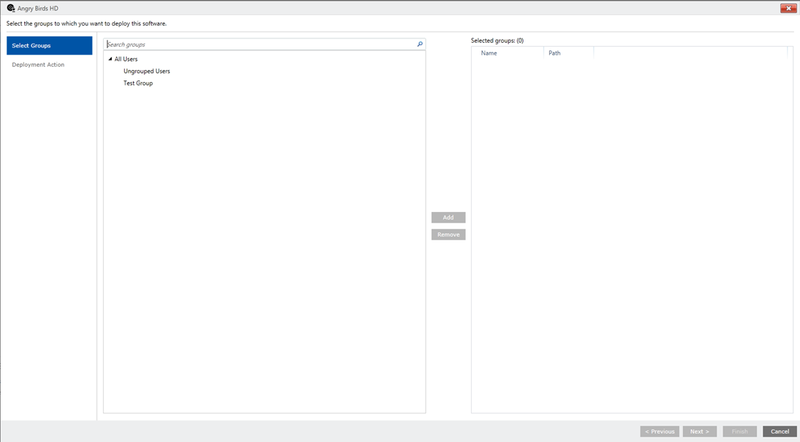 After you have imported the VPP token in Intune do not import the same token into any other device management solution. Doing so might result in the loss of license assignment and user records. 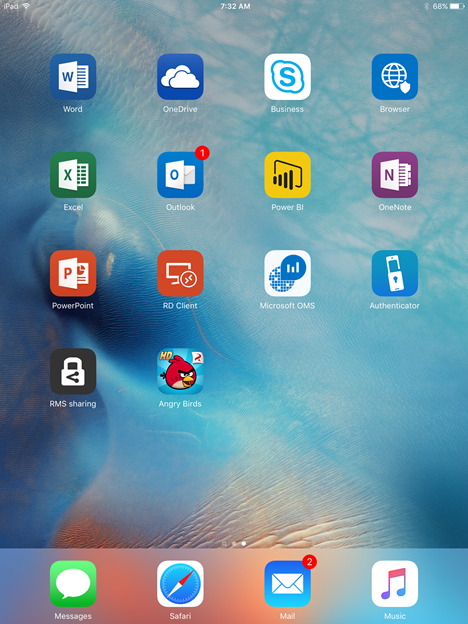 Before you start to use iOS VPP with Intune, remove any existing VPP user accounts created with other MDM vendors. Intune will not synchronize those user accounts into Intune as a security measure. 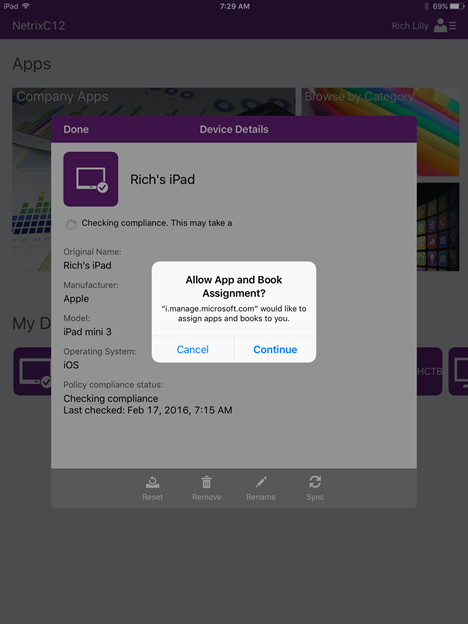 Intune will only synchromize data from the Apple VPP service that was created by Intune. 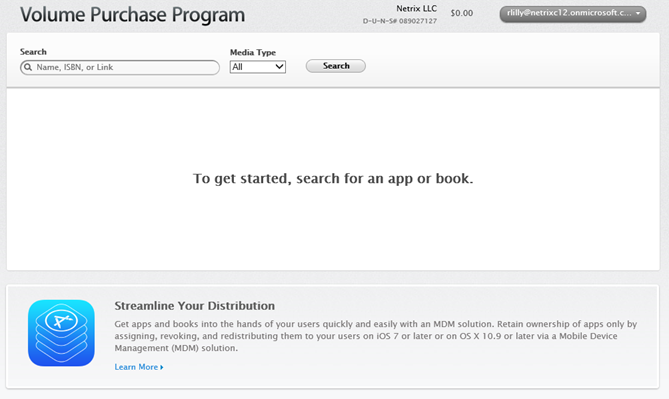 First, let’s navigate to the Intune Administration console and choose Admin > iOS and Mac OS X > Volume Purchase Program. 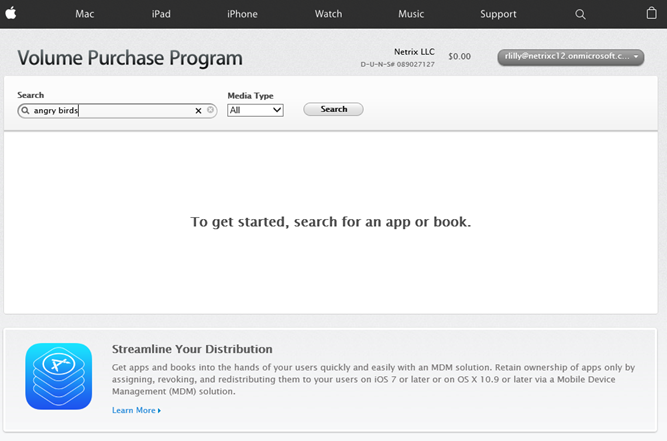 Then we’ll choose how many copies to purchase and choose Managed Distribution for deployment with MDM. 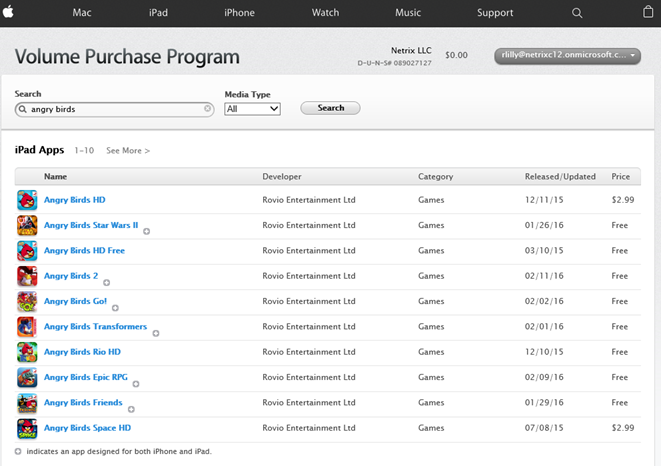 Next, let’s navigate to the Apps pane, and you’ll see a new tab for VPP apps, with our Angry Birds HD app pre-populated. 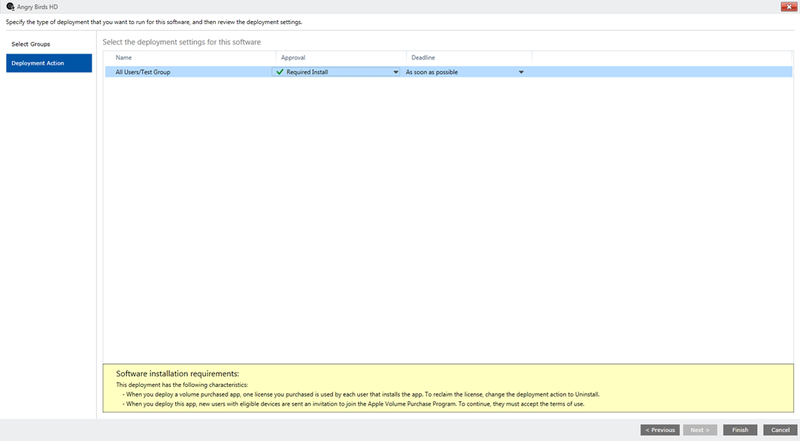 You can right-click to deploy the app like any other Intune application. 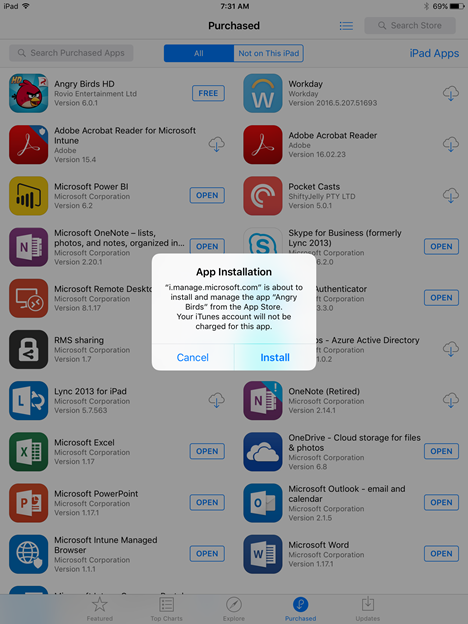 When you deploy a volume purchased app, one license you purchased is used by each user that installs the app. To reclaim the license, change the deployment action to Uninstall. Look at the VPP Terms Status column to see the acceptance status for each user to whom the app was deployed. If there are no further licenses available, the deployment will fail. Now, let’s go to our iPad and check it out! First, we manually refreshed compliance to force the policy down. 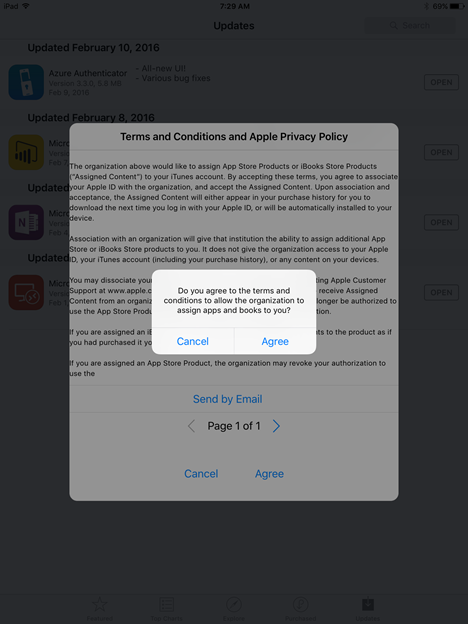 You’ll see that we get prompted to accept the terms. 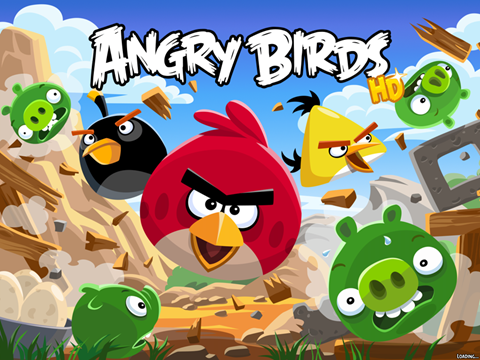 Let’s play some Angry Birds HD! 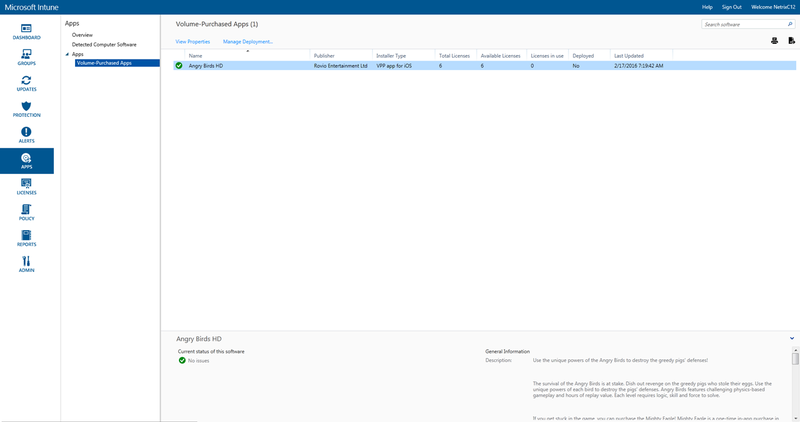 Now if we go back to the Intune console, you should see a license marked as in use. It appears that it takes a bit of time for this to populate, even after a policy refresh, so we’ll check back later. Rich on New OMS Solutions Coming Soon! Bill Newman on New OMS Solutions Coming Soon!